Pickr won the second place at the Mobile Application Awards held by indir.com for the first-time this year! There were more than 150 applications competing in the contest. At the end of first round, Pickr was among 15 applications that were able to make it to the final. Winners were decided by the jury of 20 professionals and Pickr was awarded with the second prize. 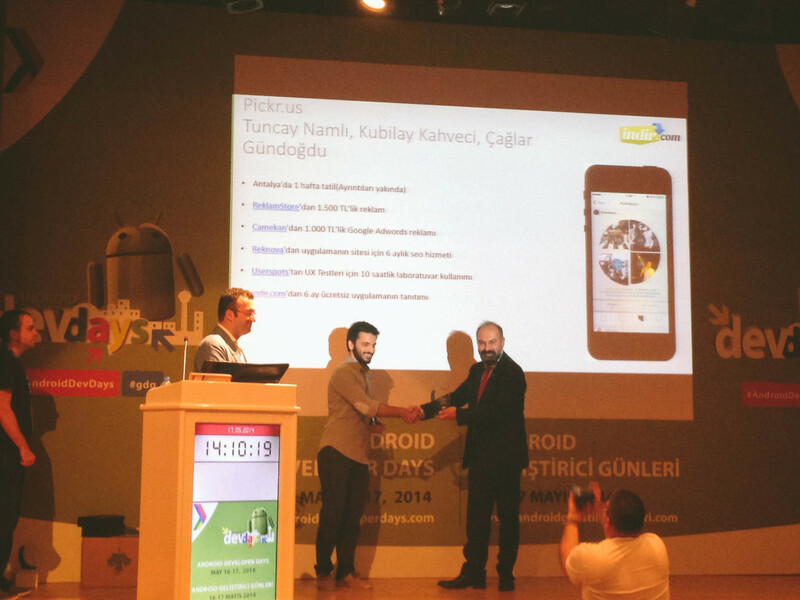 Awards ceremony was held on May 17 at Android Developer Days taking place at METU CCC. We are thrilled with such a great recognition! Congratulations to all developers with so many fantastic applications in the contest.